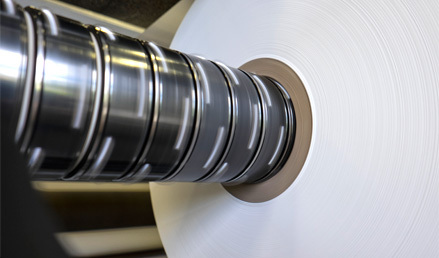 Our company is mainly engaged in cutting paper from rolls into sheets and rewinding rolls to other dimensions. We have been converting paper since 1995. At very beginning the company was named PAPKON and since 2000 we operate under the name ÚPM. Our company offers both slitting, sheeting or rewinding of customer's own paper and sales already converted paper. In June 2005 we have successfully passed the certification audit ISO 9001:2000. We highly value the quality of our products and that's why we use modern converting machines. Paper rolls and sheets are packed with automatic pallet wrapper that products arrive intact to the customer.